I’m a 30-something father to a Jack Russell. I relocated to Raleigh from Ohio three years ago. I love the area, the people, and most of all the CF Zeal family who have taken me in with open arms. In my day job, I am the PR Director at Visit Raleigh and get to promote all of the great people, places, and stories of the Oak City and help attract visitors to the area. I love the outdoors, enjoy traveling, and discovering new places through the people, culture, and cuisine that make it tick. Like many, I first saw CrossFit while watching the CrossFit Games. 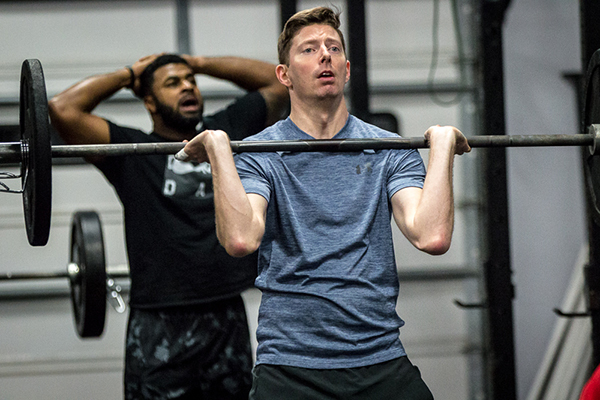 At the time I was living in Columbus, Ohio (home of Rouge and certainly an epicenter of CrossFit) and began reading up on the philosophies of Glassman and learning more about the sport. Every time I would run into a CrossFitter I found myself intrigued and envious and the fire just never burned out. I decided after being in-and-out of the gym my entire adult life that I wanted to really push myself and commit to something full time. Living in Cleveland at the time, I found Ctown CrossFit and just walked in one day, the rest is history. I firmly believe if you’re not stretching, you’re not growing and if you’re not growing then you’re just slowly dying. Harsh? Maybe, but having gone through personal loss at various stages of my life, this philosophy motivates me to get out of bed and make the most of everyday given to me. 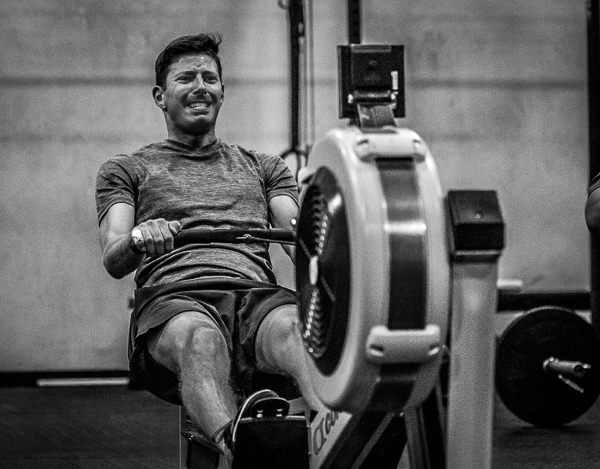 In CrossFit everyone is equal. It doesn’t matter what you do or how successful you are in your personal or professional life, once you step inside the box, you become vulnerable and learn that you can accomplish so much more than you ever thought when you give up control of your life for just an hour and push yourself. That’s why I ultimately chose to join CF Zeal after relocating here, I love the coaches, their approach to teaching and most of all the environment they create in class. I’ve met some amazing people and formed some great friendships, pushing each other and learning from one another along the way. I also love that everything is scaleable. I still can’t perform some of the more common movements, but I still get just as good of a workout in and have something to push for. Pull-Ups, weird considering I couldn’t do more than one when I started, but I always get excited when I see them for some reason. Perhaps it’s my own benchmark of choice.